Smokey Bear is America's longest running public service campaign. His statement "Only you can prevent wildfires" has been used for over 75 years to help reduce human-caused wildfires. 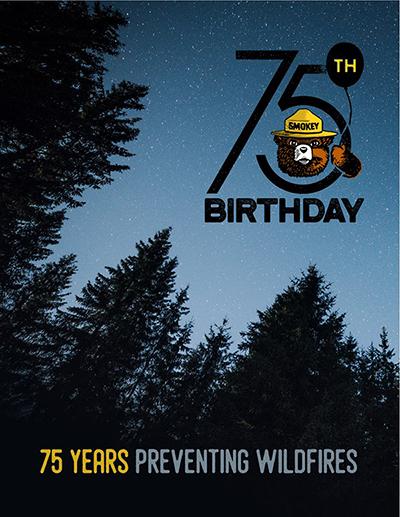 During the summer of 2019, the Maine Forest Service will be helping to celebrate Smokey's 75th Birthday with appearances at the Maine Moose Lottery & Festival at Cabela's in Scarborough (June 8), the Portland Seadogs baseball game (August 9), and various agricultural fairs between August and October. For more information, please contact Forest Ranger Specialist Kent Nelson at kent.nelson@maine.gov or 207-287-4989.